Note: This week’s guest post comes from Elisabeth Phou, Teen Librarian at Baldwin Public Library in Birmingham, MI. 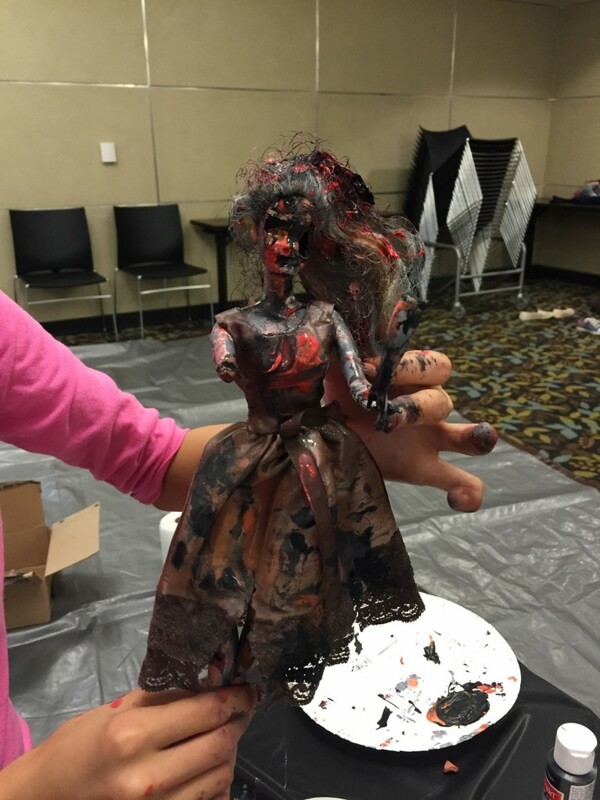 The library recently held a Zombie Barbies activity. I thought this was really creative, and I asked Elisabeth to share her experience for others who might be interested in doing something similar! So, as a Teen Librarian, I’m always thinking of new and creative ways to get kids into the library. The month of October is easy. Plan Halloween themed events, especially ones that involve zombies and generally creepy things. 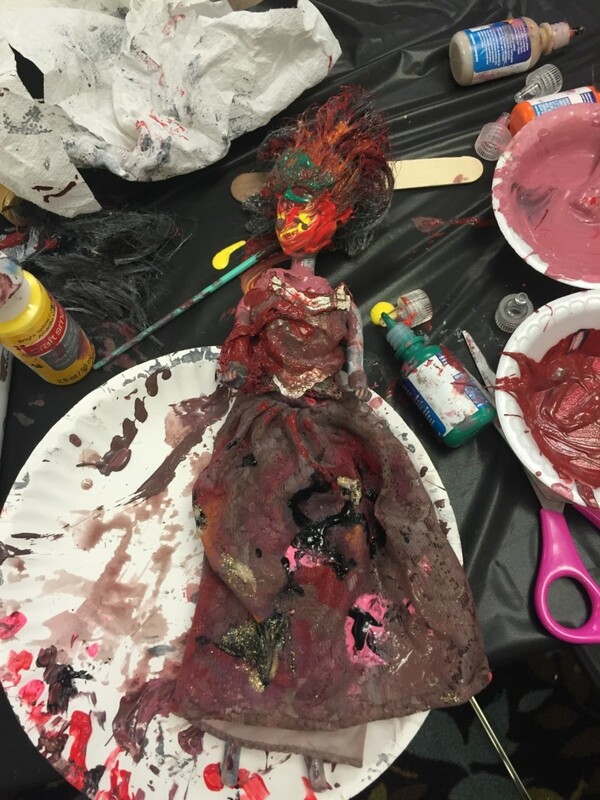 After perusing Pinterest for inspiration, I came across Zombie Barbies: Barbies with blood spattered, ripped clothing, messy hair, missing eyeballs, etc. Perfect. 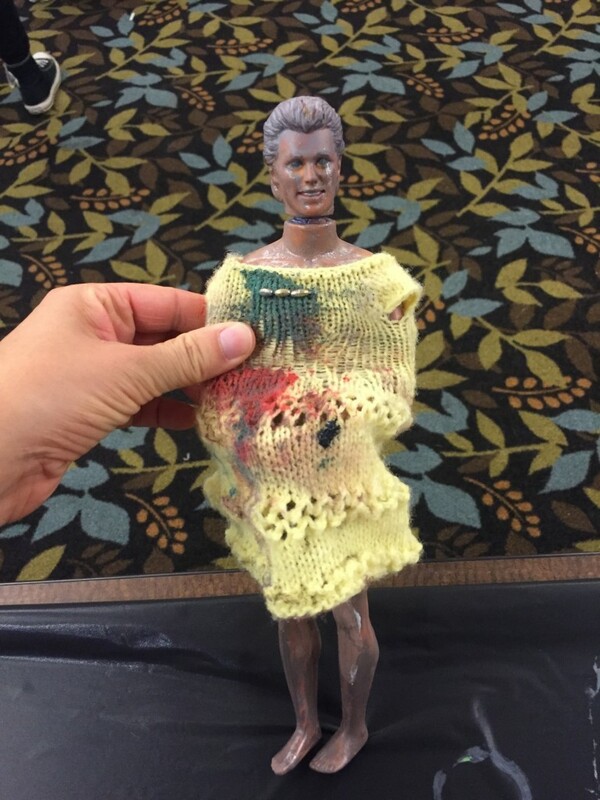 I bought a box of Barbies at a garage sale for $5 and my boss brought in her old Barbies that had been stored in her mom’s basement since the 1980s. 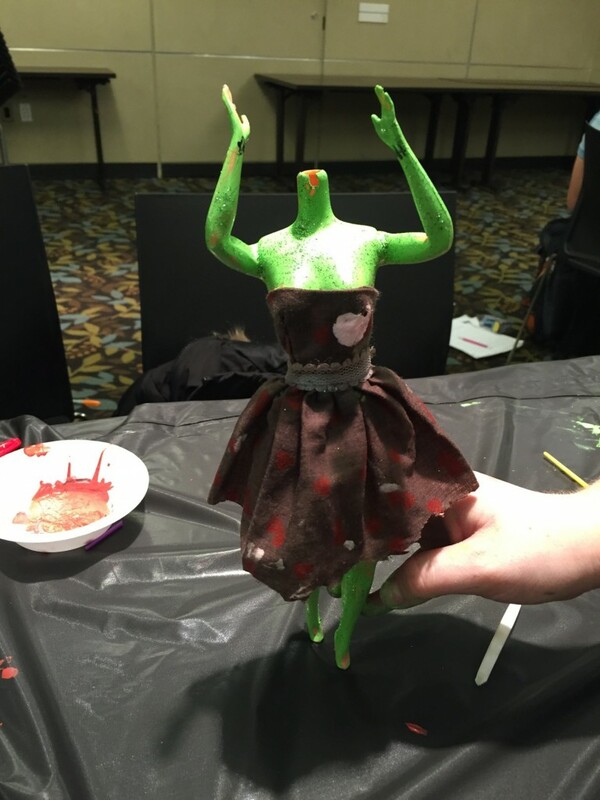 I bought acrylic paint, spray paint, fabric dye, and paint brushes and told the kids to go crazy zombifying their Barbie. 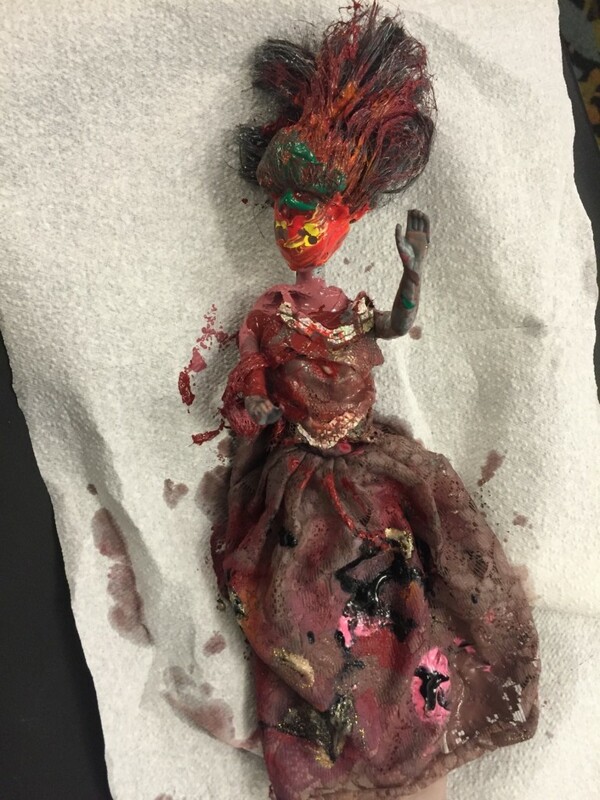 First they dyed the Barbies’ clothes in brown fabric dye to make it look dirty. 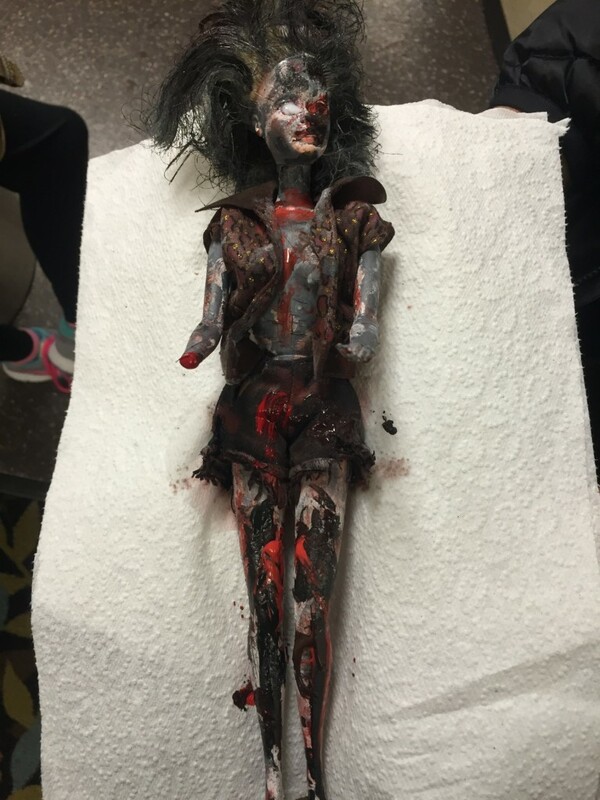 Then they spray painted the Barbies skin and hair gray and white. 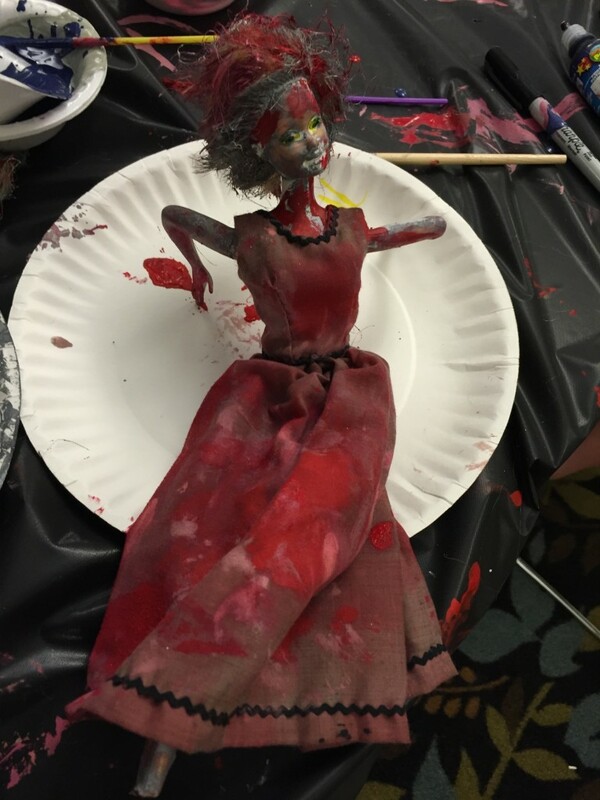 I told them to use the red paint as blood, but of course they just squirted entire bottles of paint onto their Barbie and then complained at the end that it wasn’t dry enough to take home. 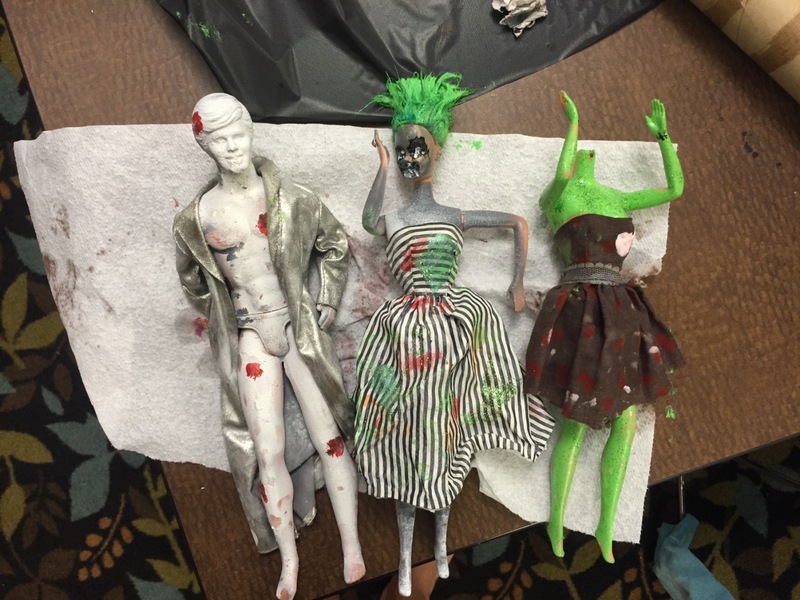 Well, they had loads of fun, but next time (if there is a next time) I will not let them use fabric dye, spray paint, OR acrylic paints. The spray paint stunk up the building (my bad for a total lack of common sense on that one), they splashed the brown fabric dye onto their own clothes, and there was paint EVERYWHERE. It took me an hour to clean up after the program. Sharpies for the win. Have you done similar activities in your library? Do you think you’ll try this one? Share your thoughts in the comments below or on Twitter!